Strong words from Archbishop Georg Gänswein about the notorious German Church tax, the Kirchensteuer, in a recent interview. More specifically, the Prefect of the Papal Household criticises the measures taken against people who refuse to pay the tax: excommunication. This, and the entire fact of the Catholic Church making use of the Kirchensteuer, does more bad than good, in my opinion. Not only does it create the impression that money is more important than the individual and the various reasons that people may have to not want to pay the Church tax, it also ensnares the Church in the fiscal policies of the state, curtailing its freedom to perform her mission. Of course, money is a necessity, even for the Church, but it should never be a goal in itself. And this whole business of excommunicating people with a simple stroke of a pen gives the impression of the latter. These comments probably continue to make him unpopular among his brother bishops in Germany, but Archbishop Gänswein is unfazed. When asked about the probability of him being appointed to a diocese in Germany, he is clear that that is not going to happen, since no cathedral chapter is likely to choose him. Nor does he have a desire to return home to be ordinary of a diocese. He is content with his duties at the side of Pope Francis and Pope emeritus Benedict XVI. Clean feet -a more inclusive Easter liturgy? So the Holy Father went and had the Congregation for Divine Worship decree a change in the liturgy. For most parishes, at least here in Western Europe, the change will be unnoticeable, as most have made it years or even decades ago. But does that mean it is a mere formality, a change on paper only? ^ Footwashing at St. Joseph’s cathedral in Groningen, last year. “Before the festival of the Passover, Jesus, knowing that his hour had come to pass from this world to the Father, having loved those who were his in the world, loved them to the end. They were at supper, and the devil had already put it into the mind of Judas Iscariot son of Simon, to betray him. Jesus knew that the Father had put everything into his hands, and that he had come from God and was returning to God, and he got up from table, removed his outer garments and, taking a towel, wrapped it round his waist; he then poured water into a basin and began to wash the disciples’ feet and to wipe them with the towel he was wearing. He came to Simon Peter, who said to him, ‘Lord, are you going to wash my feet?’ Jesus answered, ‘At the moment you do not know what I am doing, but later you will understand.’ ‘Never!’ said Peter. ‘You shall never wash my feet.’ Jesus replied, ‘If I do not wash you, you can have no share with me.’ Simon Peter said, ‘Well then, Lord, not only my feet, but my hands and my head as well!’ Jesus said, ‘No one who has had a bath needs washing, such a person is clean all over. You too are clean, though not all of you are.’ He knew who was going to betray him, and that was why he said, ‘though not all of you are’. The rite of the footwashing is in the first place exactly what Jesus tells us it is: an example for us to follow, in the context of the relation between servant and master. For the priest, who washes the feet of twelve faithful, this is especially poignant. As an alter Christus he is especially tasked to lead by serving, made tangible in this subservient act. In the Roman missal the faithful whose feet are to be washed are described as ‘vir’, men. Although many priests have not felt called to limit the faithful they chose for the rite to be only men, others, who understand that the liturgy is not just a collection of symbolic rituals, have followed what the missal stipulates. Pope Francis has now removed the rule that only men’s feet are to be washed in the ritual, stating only that they must be chosen from among the People of God: the faithful community assembled for the liturgical ritual. So not only men, but also women and children. Of course, the changes have been met with comments far and wide. Before delving into some of those, it should be noted that this is not an issue of dogma, and that the Holy Father is completely free to make such changes. There are those who are all too keen to take every chance to denounce Pope Francis, but this is not one. This is Papal authority in action. I have seen some comments expressing surprise that there even are rules about such things, but also pride in having been ahead of the curve in including women in the footwashing. Apparently, those who know of what the missal stated, have not felt the urge to take it seriously and keep to the rubrics. 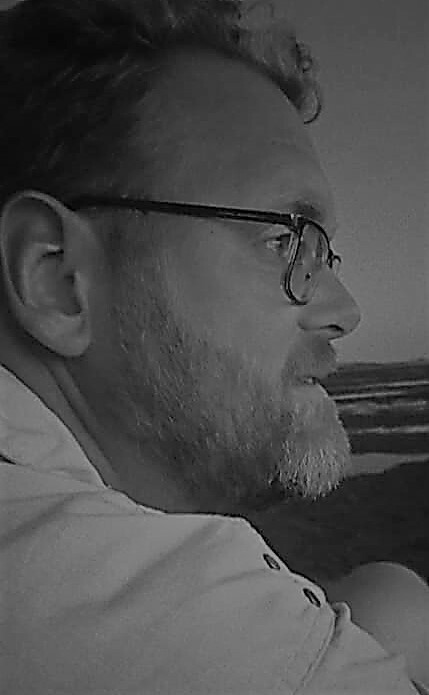 I have to wonder what the liturgy is for some people: a collection of quaint rituals to be performed or not as mood or times dictate, or something given as a task to perform by the Church, a rite reflecting the divine liturgy, which can not be changed by individual priests or liturgy committees (a silly concept in itself) as they desire. It should be clear what my position is, which happens to be what the Church herself also teaches. I may like or dislike what the missal contains, but it is not mine to change. It is, however, the Pope’s to change (as long as the changes are not dogmatic). He has that authority. Some have also chosen to see this change as having to do with a right that until now has been denied to women. It is not. As the decree explains, Pope Francis wanted this change to better reflect the full make-up of the People of God, who all share in this commandment of service: it is therefore not a right that until now has been denied to women, but a duty that they are equally called to perform. Pridefully boasting that this is an equal rights issue is simplistic and out of place. On the other side of the debate, more conservative commentators have taken issue with the fact that a liturgical tradition has been altered. They say that the presence of only men at the footwashing is a reflection of the footwashing as performed by Jesus. He also only washed the feet of men: His disciples. In this way it better reflected the relation between Christ and His followers, and thus reminds the priest and faithful of what the priesthood is: a service in a context of authority. I have to wonder, however, of the ritual itself, even if it includes only men, succeeds in this. At least in my experience, catechesis makes more of a difference than the gender of those whose feet are washed. For most faithful present at the footwashing, the actual ritual is too short and too far away to be fully witnessed and taken in. Others have wondered if this is really the most urgent liturgical change that was needed. Aren’t there liturgical abuses that need to be adressed first? Of course there are. I think of the complete lack of reference for or even understanding of Who we received in Holy Communion, to name but one. But a start needs to be made somewhere, and the fact that changs are made is more important than the order in which they take place. In closing, I would like to comment on what some have wondered about the role of Cardinal Robert Sarah in this. As Prefect of the Congregation for Divine Worship he is the one who issued and signed the decree announcing the change. Pope Francis made the request for the change in late 2014. It took more than a year for the decree to be published. Did Cardinal Sarah delay it, because he disagreed with it? Or is it perhaps more likely that the cardinal, who had only arrived at the Congregation in November of 2014, needed the time first to familiarise himself with his new duties, had to clear a banklog of files which had built up in the three months between the departure of the previous Prefect, Cardinal Cañizares Llovera, and his own arrival? And add to that the fact that there are other files to deal with in the course of the normal work of the Congregation, and it seems that this is a more likely reason for the apparent delay than any alleged delaying actions out of a theoritical opposition to the Pope’s reforms. Posted on January 22, 2016 January 22, 2016 Categories From RomeTags antonio cardinal cañizares llovera, catechesis, communion, congregation for divine worship and the discipline of the sacraments, dogma, footwashing, gospel of john, jesus christ, liturgy, maundy thursday, missal, pope francis, priesthood, robert cardinal sarah, saint peter1 Comment on Clean feet -a more inclusive Easter liturgy? “Pope Francis’ thinking is process-oriented. The Synod (‘journeying together’) which has now ended was a moment on the way. The Church is on her way to a new Synod in October of 2015. In the meanwhile the thinking about sexuality, marriage and family continues in the worldwide community of faith. Building bridges, not destroying them, as Church is in the spirit of Pope Francis and the Synod. Personally I advocate a ‘ministry of encounter’. We can’t kick people with marriage problems or other relational worries when they’re down, but we should stand with and help them. In that way we follow in the footsteps of Christ who, as the Good Samaritan, seeks out and heals people who lie wounded on the side of the way of life. Catholic ministry will not repel or write off people but try and meet them in the places where they are. In that, the Catholic shepherd is called to manifest God’s unconditional love for imperfect people. Media report that the Church wants to be more merciful but that doctrine is unchangeable. I think that is too simplistic. Life means growth and change. That is also true for the life of the Church. Christian teaching knows development (Cardinal John Henry Newman). When our thinking is historical-organical it becomes clear how important the hermeneutic questions are. The doctrine of the Church must continuously be interpreted and communicated. Of course, the spirit of the times can never be a deciding factor in that. He who marries the spirit of the times, is soon widowed. But we should wonder of we have sufficiently probed the wealth of Scripture and Catholic Tradition (Cardinal Reinhard Marx). In that sense the doctrine of the Church must always be actualised to stay close to life. Going towards the Synod of October 2015, there are important questions on the Church’s agenda. How can we help young people to grow towards the sacrament of marriage? How do we help couples to strengthen and deepen their marriage bond? How do we stand with people who failed and were unable to fulfill their word of faithfulness? An important questions, it seems to me, is also how love, friendship and affection can take shape for people who do not live within the bond of marriage. In our country millions of people live outside of marriage. The Church traditionally asks them to live in abstinence. But what does this mean in real situations, certainly when we realise that celibate life is a charisma, a gift from God, which few people receive. When we acknowledge that the questions of relationship ‘within the boundaries of Catholic morality become all the more exiting. In short, there is much work to do for the faith community. The bishop raises good questions, ones that certainly need answering. But not just theoretical answers. These questions instead need practical solutions, they need to become visible in how the Church acts and speaks, not just how she thinks. That’s what the Synod is about, too: the question of how teachings become reality for people living in the world. The doctrine of the Church, the rich body of faith that she protects and communicates, is neither completely solid nor completely fluid. Comments about doctrine continuously needing to be interpreted, as made by Bishop de Korte above, are often understood to mean that what the Church once believed to be true, need not be believed anymore (not that am I saying that the bishop holds to this). That is quite simply wrong. We find this everywhere in the Bible. God reveals Himself to people and over the course of history we get to know Him more and more, and our relationship with Him develops. But at the start, there are certain truths which we know because they have been revealed. These divine truths are unchangeable, as they exist independent of us. So when we say that we must interpret or develop doctrine, we always have these revealed truths as our solid basis. Does that limit us? Perhaps it does, but only because it’s not only about us. God is the other party in the relationship and His contributions, His truth about Himself, creation and human nature and purpose, must equally be acknowledged. Developing doctrine must be understood as increasing our knowledge and understanding of it, building on what we already know. That deeper understanding is one step, the communication and manifestation of it is another. And that, again, is what the Synod is intended to encourage. But, as a final aside, not every doctrine is dogmatic (ie. held to be absolutely and unchanging true). 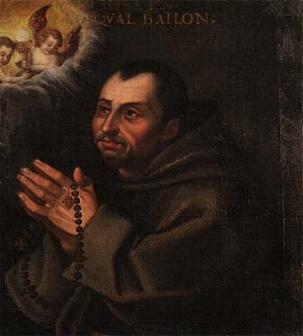 Non-dogmatic teachings and practices, such as certain rituals and traditions of the Church, can certainly change. But if we want to change them, we must always ask ourselves: why do want them to change, and why do we have them in the first place? Perhaps then we’ll find that it is sometimes better to hold onto teachings, instead of doing away with them. Pope Francis added three new members to the Congregation for the Doctrine of the Faith this week.Membership is not a fulltime job, but does entail regular visits to Rome to attend meetings. Virtually all the world’s cardinals are members of one or more congregations, councils or commissions, and others can also be appointed, be they bishops, priests or lay faithful. 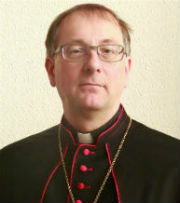 The three new appointments are Cardinal Pietro Parolin, the Secretary of State, Archbishop Stanisław Gądecki of Poznań in Poland, and Bishop Rudolf Voderholzer of Regensburg in Germany. Bishop Voderholzer, pictured above with Pope Francis, is making a proper space in the spotlight for himself these days, as he is also the host of the 99th Katholikentag and thus the recipient of a personal message from Pope Francis, which I shared here in the blog earlier. The professor of dogmatics was the final German appointment of Pope Benedict XVI in December 2012, when he was tasked to head the Diocese of Regensburg. 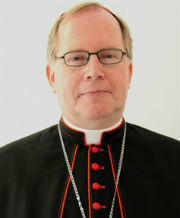 His predecessor there, Cardinal Gerhard Müller, now heads the Congregation for the Doctrine the Faith that Bishop Voderholzer is joining as a member. The bishop and the cardinal already had many things in common, from the see of Regensburg to the collected works of Benedict XVI, the publication of which Bishop Voderholzer now oversees. A sign of continuity, not just between the former and current bishops of Regensburg, but also those of Rome.